On December 23rd the Fenway Faithful where blindsided with the news of the Evil Empire signing Mark Teixeira. My first thought was great I was not sold on Teixeria being the answer to the Red Sox needs for 2009. Now its been a month and I have come to the opinion that Theo worked his magic once again. 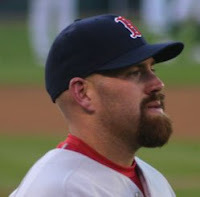 Not signing Teixeria led to the Red Sox and Kevin Youkilis to agree to a 4 year extention and the subsequent signings of Brad Penny and John Smoltz. Combined these players will cost the Red Sox $16.5 million in 2009 ($6m for Youk, $5m for Penny and $5.5m for Smoltz ) compared to the $20 million Tex would have cost the Red Sox, but now will cost the Yankees. While both teams can be blamed for the escalation of contracts in MLB, the Red Sox seem to be building more from within the organization than the Yankees. Now the Red Sox can deal with the bigger issues they will face in 2009 and beyond. 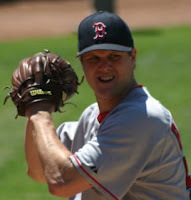 First the extensions of the Lord of the Dance (Jonathan Papelbon)* and the Comeback Kid (Jon Lester). These two pitchers will be worth a lot on the open market and the Red Sox have the first chance to offer long term deals to these exceptional talents. While it seems the Red Sox will eventually resign The Captain (Jason Varitek) he is not the answer to their long term goals. Hopefully the Red Sox will start to search for a young catcher to backup Varitek for now and take over for him in 2010 and beyond. 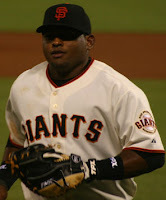 I have my eye on the Sox pulling off a deal with the Giants for versital catch Pablo Sandoval. This 22 year old catcher made a splash at the end of 2008 and has the ability to play 1b and 3b as well. This would allow Youk to play his original position of 3b and allow Mike Lowell to take days off, which will open the way for him to make a big impact later in 2009. Then there is the future of the Red Sox. Players like Lars Anderson (1b), Michael Bowden (SP), Daniel Bard (RP) and Josh Reddick are going to start to make an inpact with the Major League club late in 2009 and beyond. While you might not know anything about these guys today you will. Also did you really know anything about Dustin Pedroia in 2005? Now he is the reighning MVP and worth every penny of his 6 year $40.5 million extention. While big names like Tex make a big splash in the headlines the type of contracts they demand is not worth it. Eight players in MLB history have signed $20 million plus a year deals. Only Manny Ramirez has gone on to win a World Series with that contract. Im happy to say the Evil Empire has three of those players and will keep up this trend. *Please note between the writing and posting of this article Jonathan Papelbon has agreed in principle to a contract extention (thanks again Tex for going towards the pinstripes).